Tyler is a litigator whose practice includes a wide variety of both commercial and energy litigation, including the prosecution and defense of contractual disputes, construction contract litigation, professional liability litigation, Education Law, tax disputes, and representation of oil companies in the defense of claims made by landowners regarding property contamination. Tyler’s courtroom experience flourishes from his clerkship opportunities. While attending law school, he was a judicial extern to the Honorable Ralph Tyson, late Chief Judge of the United States Court for the Middle District of Louisiana. 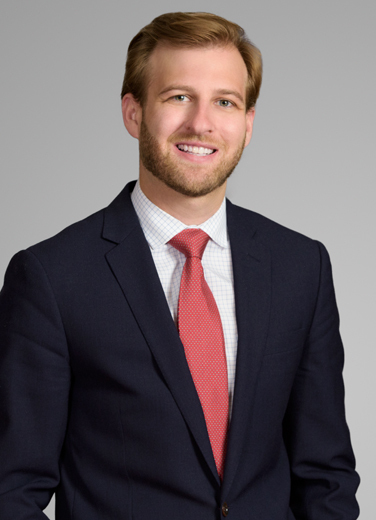 Prior to joining the firm, he served as a law clerk to the Honorable Catherine D. Kimball, former Chief Justice of the Louisiana Supreme Court. Member of legal team that secured a $5.5 million judgment in favor of client and a dismissal with prejudice of the defendants’ counterclaims seeking $12 million in damages for alleged breach of contract pertaining to a guar gum processing plant in Houston. The defendants agreed to entry of a consent judgment on the eve of the scheduled two-week jury trial.